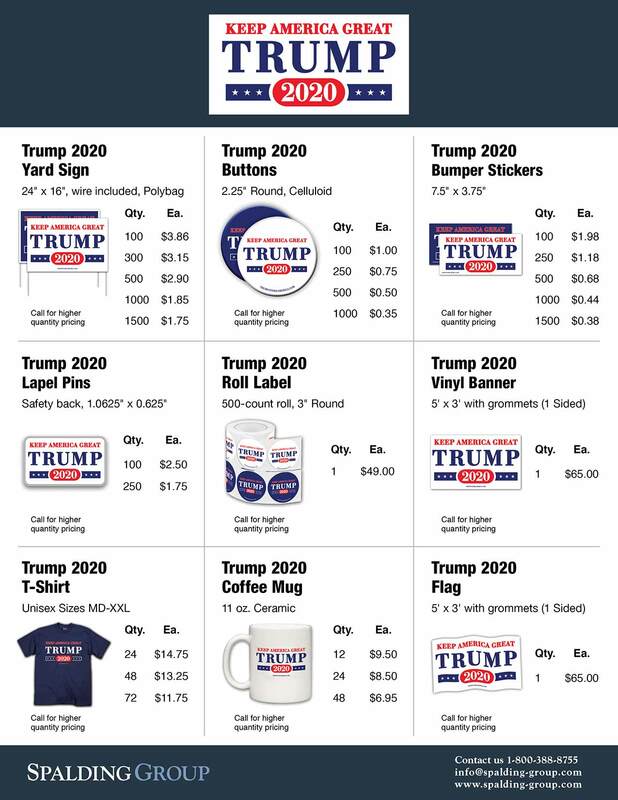 The Spalding Group Trump 2018 State and County GOP Bulk Pricing Program. 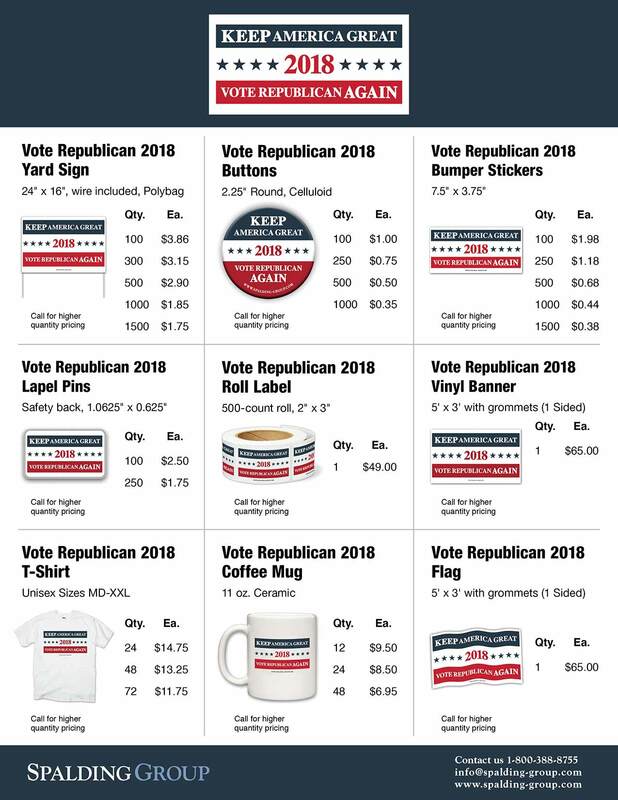 Click the thumbnails to see how we're supporting Republicans in 2018 and Trump in 2020. Call us today at 800.388.8755 or email us at info@spalding-group.com to see how we can help.